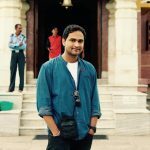 The journey of Zoho ShowTime has been both exciting and educational. 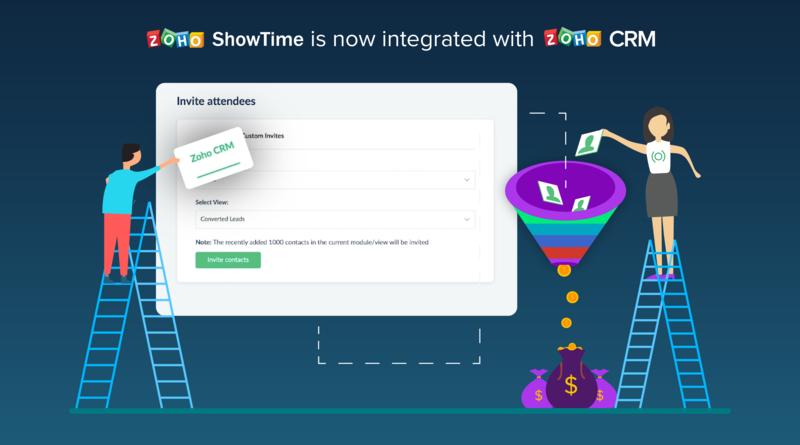 At Zoho, we value customer feedback, and your input has helped us craft ShowTime to deliver an overall better user experience. The latest version of ShowTime is as flexible as it is robust. From the revamped user interface to the vivid new theme, the new ShowTime is built to offer a personalized user experience. 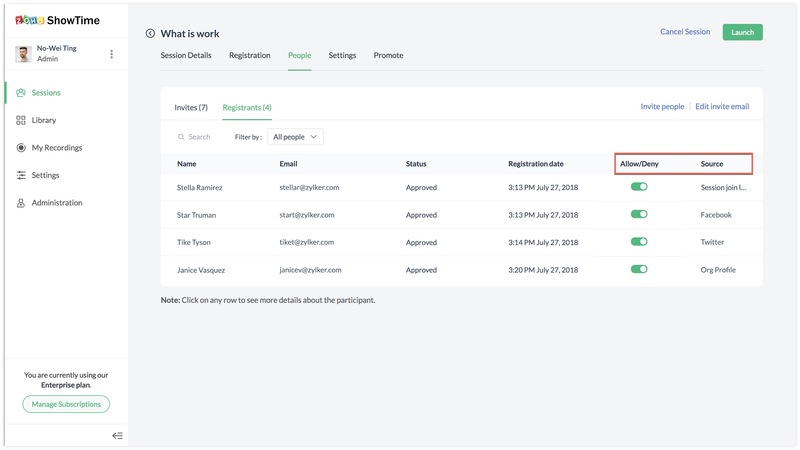 You’ll also benefit from our new customizable registration forms and the ability to both track promotions and manage registrants for additional security. As the head of a training team, you now have the autonomy to choose a host while scheduling a session. This helps you select the most prolific trainer from your team to train the best of your clients, and also lets you create a session on behalf of your colleagues. You can now capture more details about your registrants by customizing the registration form. Adding a field to collect the phone number or running a short questionnaire helps you build connections with your prospects even before the session. To cover more ground and attract more registrants for that training program around the corner, you can now embed the session registration form directly on your website or blog. You can even edit invitation emails and send multiple reminders so that the word gets out promptly, and with a personal touch at that. Understand the success of your promotional efforts better by tracking the source that brings in the maximum registrations. You can then plug attrition and ensure higher turnout for your session by focusing on the appropriate medium. Not everyone who registers or has the invitation link should be able to join your session. You now have the power to allow or deny participation through the permission settings. If you plan on running a web conference, exclusive to closed groups, you can simply restrict the head count. With advanced customization and added convenience, ShowTime promises to make every training session a success. 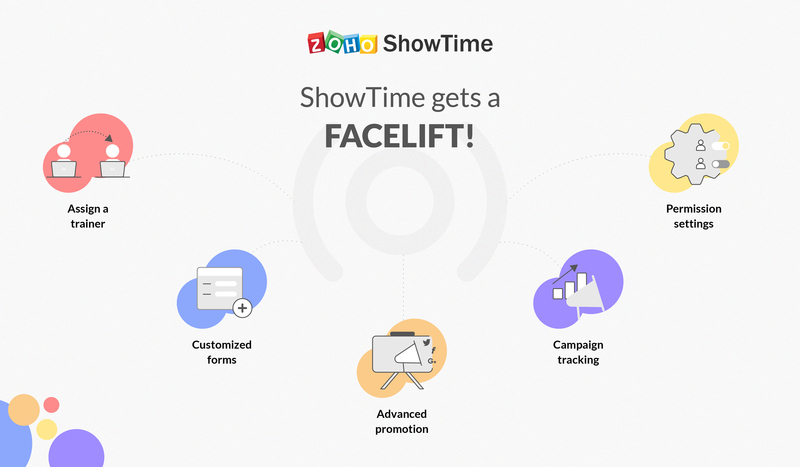 To get started with ShowTime right away, click here. You can also tell us what you think about this update by emailing support@zohoshowtime.com. Zoho ShowTime is a web-conferencing solution that brings your virtual training to life. Go check ShowTime’s community to stay updated on all latest releases.